An artist sweeps brushstrokes across canvas, forming a scene of monks and nuns walking serenely with hands folded over saffron and pink robes flowing at sunset. It was 2008 in Yangon, Myanmar, and this particular artist told me that he and his peers were encouraged by the government to depict positive stories only. Political expression was forbidden. Then, and for decades before, artists in Myanmar faced censorship from a strict military regime. Private art shows were delayed or cancelled by the government without explanation. However, this all began to change in 2011, when military rule ended and tourism began to flourish. A recent successful win for the country’s pro-democracy party, the NLD, is sure to grant even greater freedom of expression. Today, checking out the art, both contemporary and of “old masters” in Yangon, might just be an addition to a list of your must sees, among absorbing the rich history of the Shwedagon Pagoda, and vibrancy of Bogyoke Market. Myanmar is rich with art history. In the 1950s, fine art schools opened in Yangon and Mandalay and a National Art Association was formed in Yangon. However, after 1962, when a military regime instituted a socialist economy, there was greater scrutiny of artists and it was more difficult to get supplies. In the 1980s, illustrators contributed to a few private journals, and galleries in Yangon’s most expensive residential area, the Golden Valley, (which is still a popular location for galleries today) held exhibits. 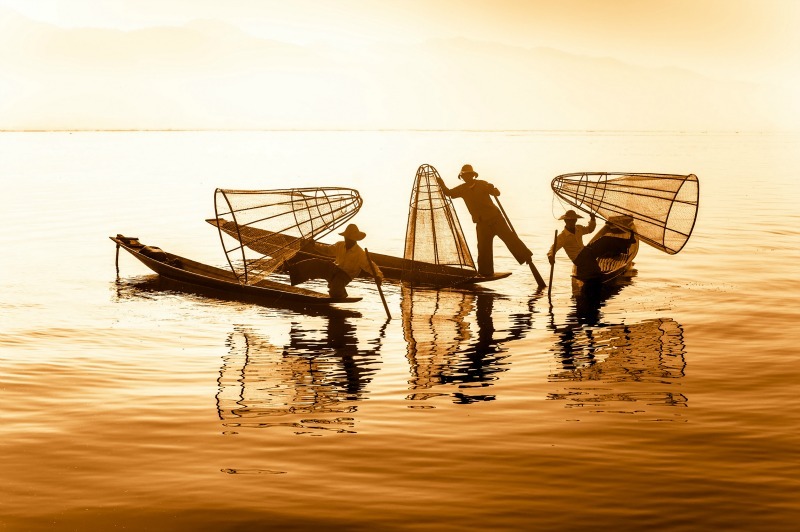 The Irrawaddy news magazine, a daily online and monthly print magazine that covers Myanmar from Thailand, reported that 1993 was a turning-point when several well-known painters exhibited their work in Singapore. When the military regime promoted “the year of the tourist” in 1996, gallery owners anticipated new buyers. In the early 2000s, more galleries began to pop-up, and even more opened after 2011. Today, dozens of internationally known artists call the city home, and with fewer restrictions in place now, many of them exhibit abstract, impressionistic, and cubist influences. 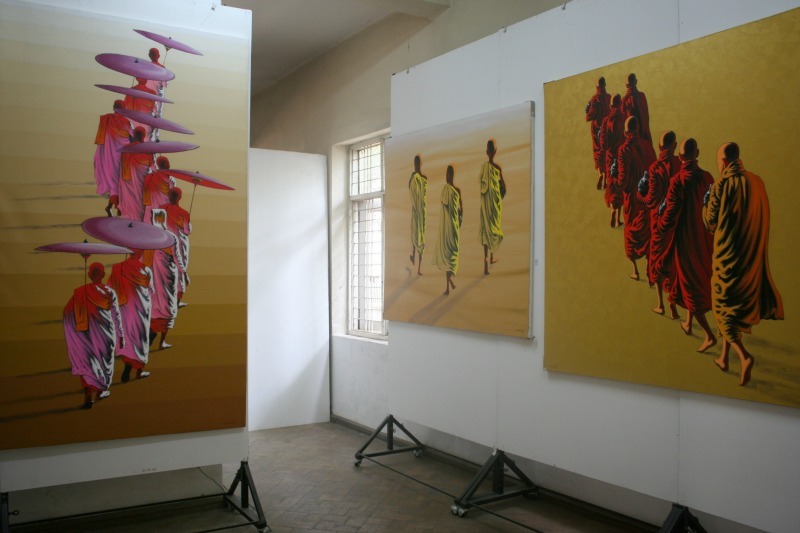 River Gallery I and II: Founded by a New Zealander who is devoted to elevating the image of Burmese artists worldwide. River I is in The Strand hotel in downtown Yangon, while River II, is nearby. Pansodan Gallery: Opened in 2008, Pansodan is near Bogyoke Market so you can stop by before or after a shopping trip. New Zero Artspace: A flourishing gallery and event space. Inya Art Gallery: An artist-owned and operated gallery founded in 1989. 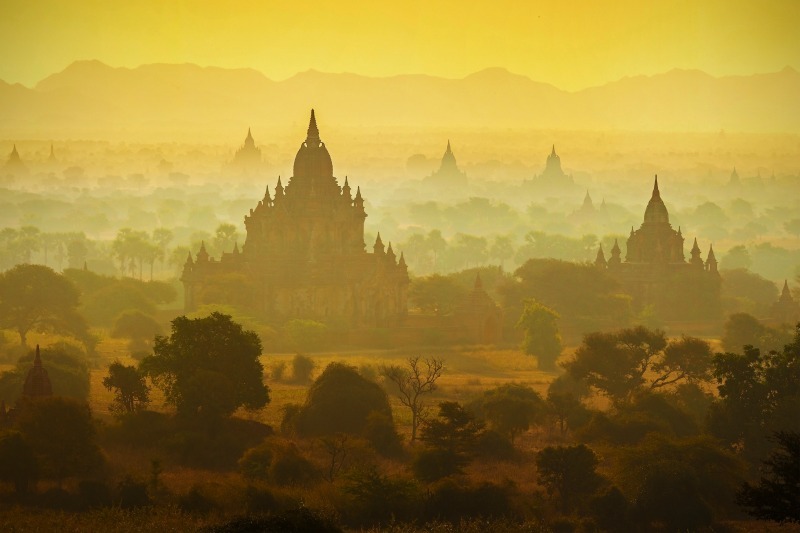 Burma in Depth from Explore! Wow, great post Liz. I had no idea of the art history in Burma. It's such an interesting destination and changing so quickly, both culturally and politically. Need to get there soon! So interesting, great article Liz! If there's one thing that's a common denominator among all people, it's our propensity and need to create art. :) How wonderful that restrictions have been lifted now allowing these artists to create the way they want! Have you been back to Burma since you were last there? I recommend anyone who wants to visit Burma get there ASAP! For perspective: When I visited in 2008, there were no ATMs, virtually zero tourists, and no way to use a mobile phone if traveling from abroad unless you wanted to pay hundreds of dollars. Today, I hear there are ATMs in the Shwedagon Pagoda! I am hoping to make a trip in 2016, to catch up with some of the artists I met. Really great and interesting article!